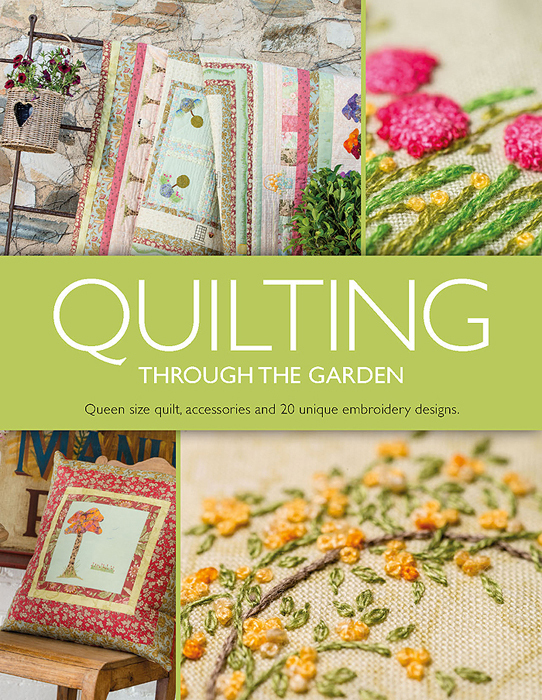 Quilting Through The Garden by Jill Newton brings the delights of a country garden into your home. 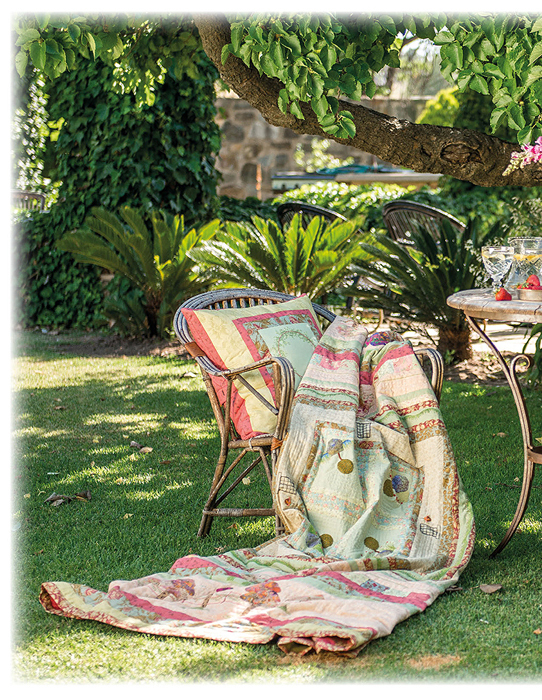 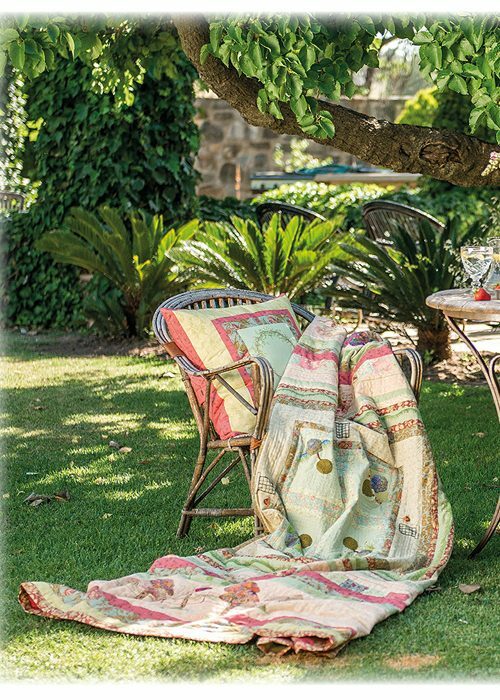 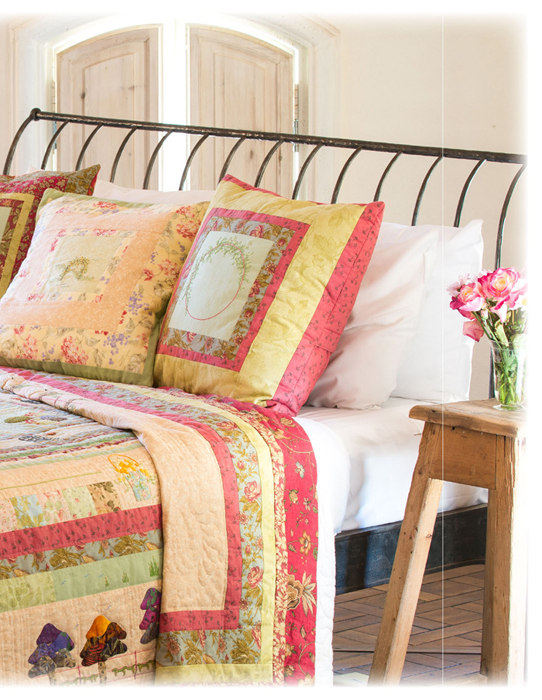 With this magnificent embroidered queen size quilt, matching cushions and bedroom accessories, you can savor the ambiance of a country garden all year round. 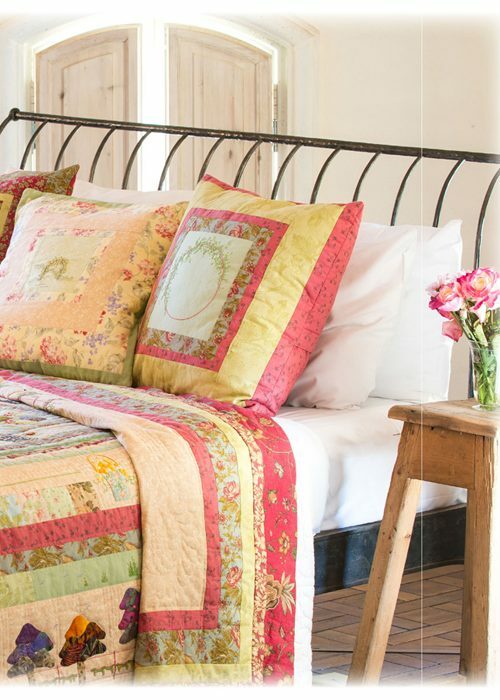 Featuring coordinating cushions and accessories this book gives you the opportunity to decorate your whole bedroom or practise your skill on a smaller project before starting your quilt. 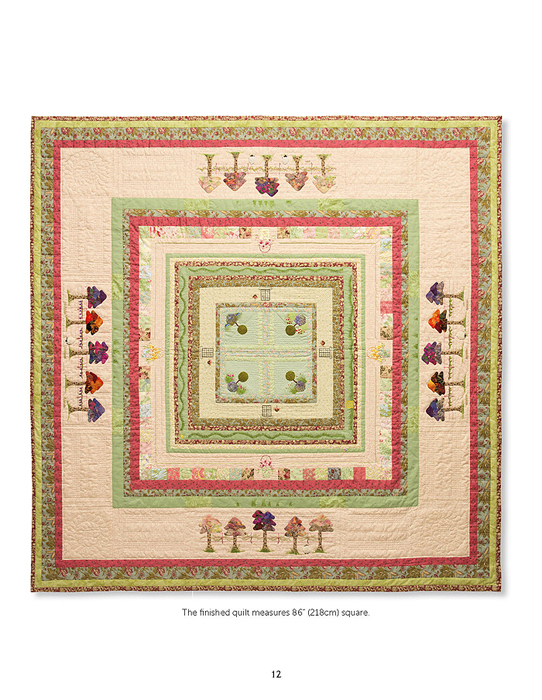 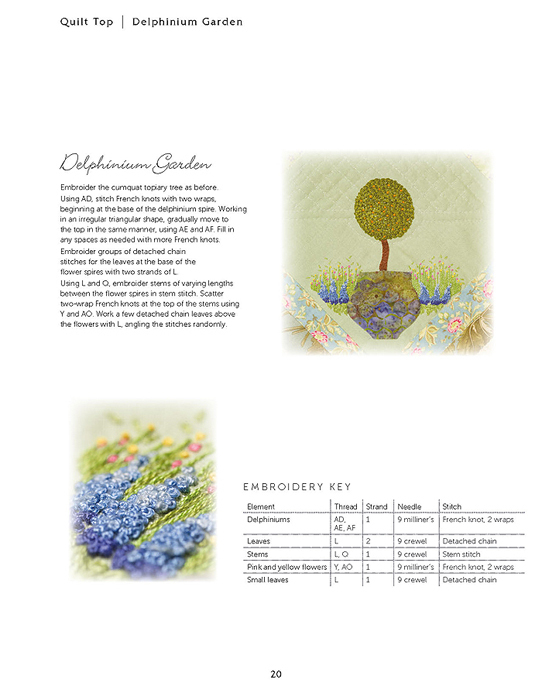 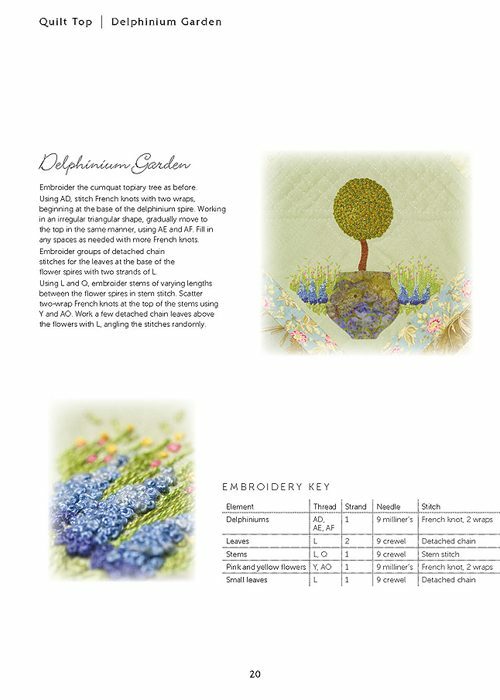 Jill Newton perfectly combines her enthusiasm for her garden with her love of needlework as she skilfully leads you through the embroidery, appliqué and construction of this wonderful summer quilt. 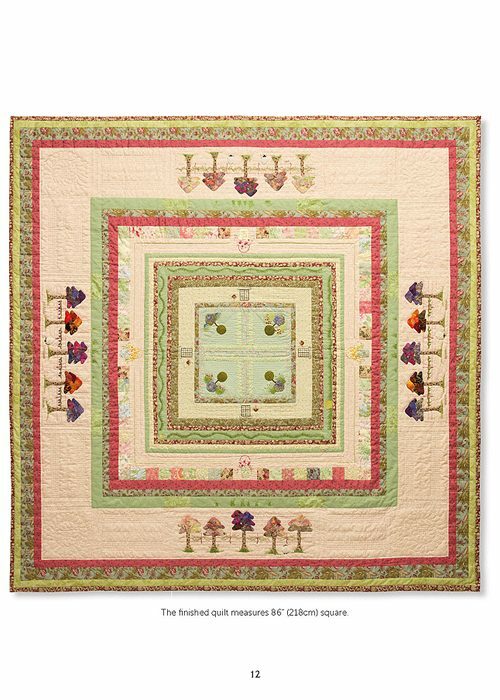 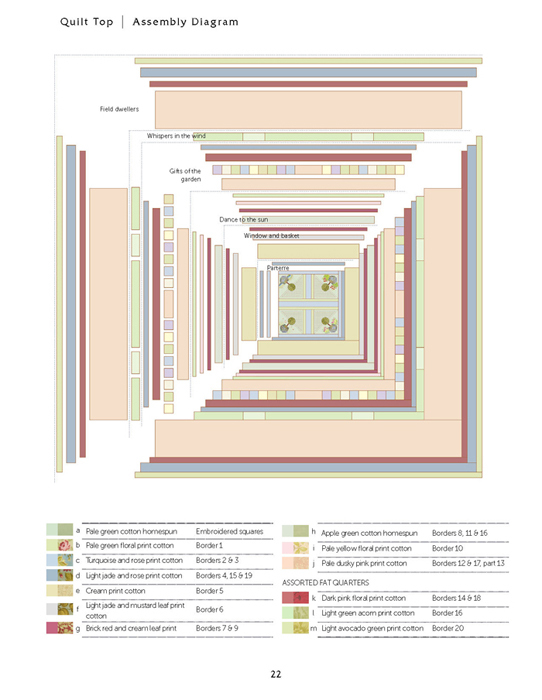 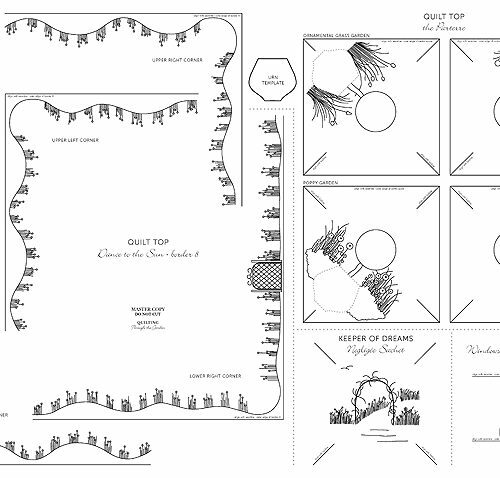 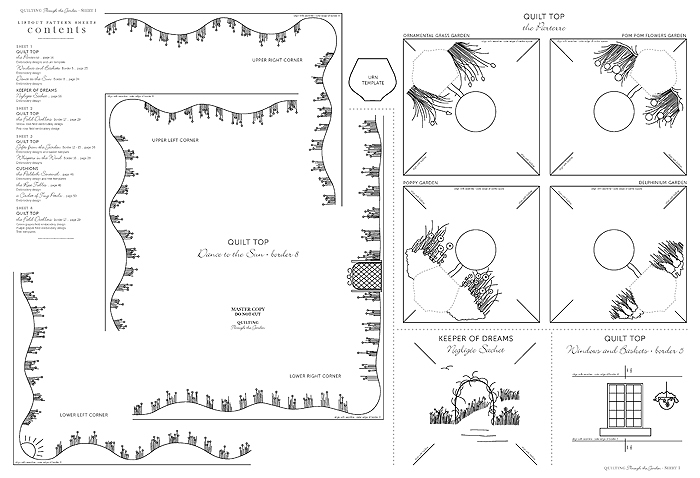 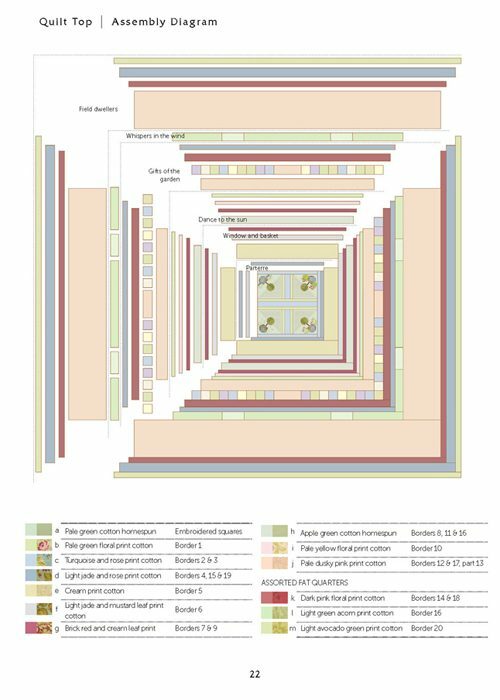 Easy to follow and detailed instructions guide you, border by border, through all the steps of creating your own quilt. 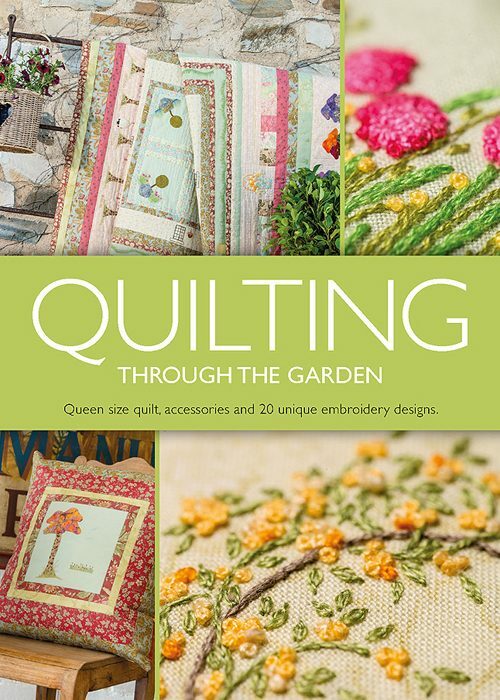 The stunning photography makes you want to curl up in a favourite chair and meander through the pages before even picking up your needle.